Pair of glass table lamps. "Cubosfera". 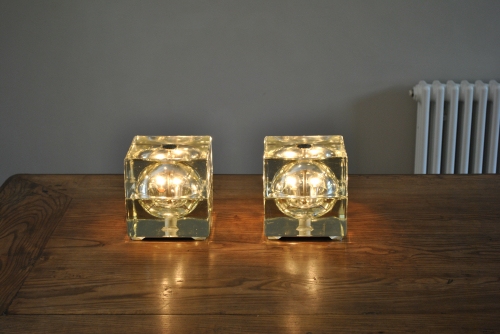 Each with heavy interlocking glass and an internal sphere containing 2 lamp holders. Designed by Mendini, Italy, late 1960`s.